Celebrating the 25th anniversary of the Happy Sport, Chopard present this chic timepiece, featuring a stunning light blue mother of pearl dial complete with set diamonds. Silver tone hour markers co-ordinate with the three hands, presented within a shimmering set stone bezel upon a stainless steel case. 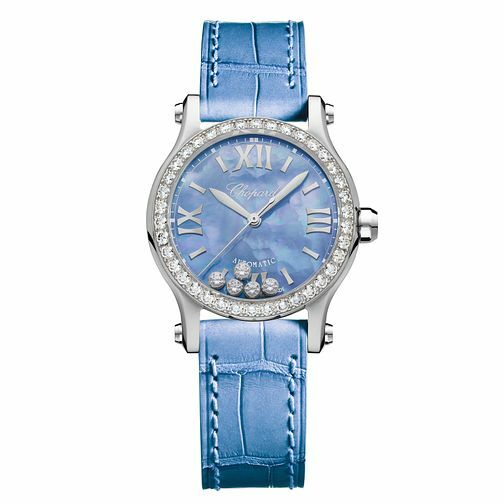 A textured light blue leather strap matches the dial for an all-round aesthetically pleasing timepiece.